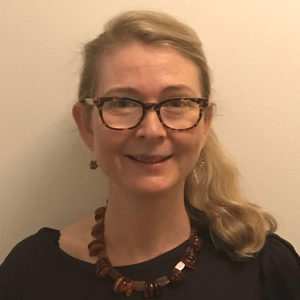 Dr Sarah Roxburgh is a Senior Staff Specialist in Renal Medicine at Royal North Shore Hospital, and a Visiting Medical Officer at the Sydney Adventist Hospital. A Sydney University graduate, she trained in Nephrology in Australia and the Republic of Ireland, and undertook her PhD in the molecular mechanisms of diabetic nephropathy at University College Dublin. She has an interest in the hypertensive disorders of pregnancy, transitioning the adolescent from paediatric to adult nephrology, the care of young women with chronic kidney disease, and all aspects of general nephrology. She has always had a strong interest in providing holistic and appropriate care to the patient with advancing chronic kidney disease who is older and/ or who has a high burden of multi morbidity. In 2013, she was asked to “champion” renal supportive care at RNSH and has thus been involved in managing the evolution of the service from its rudimentary beginnings to the current day. End of life planning, including Advanced care planning, is a key part of the service, with variable success to date in the not for dialysis conservative care, dialysis and transplant patient groups. Previous article Anna Greka, M.D., Ph.D.